Recently we came across Ehren Reed's work and it impressed us immensely as we found out that she is merging different worlds; sewing, craft and technology. 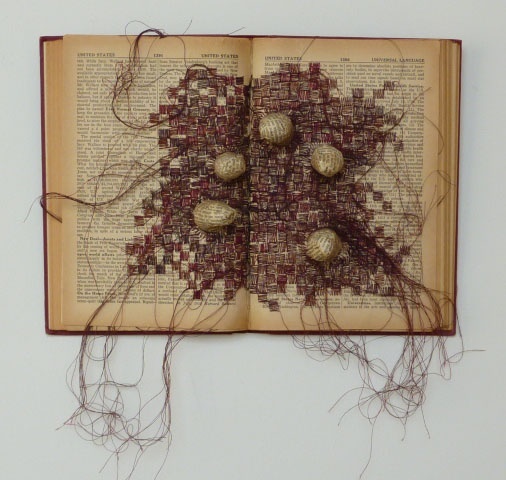 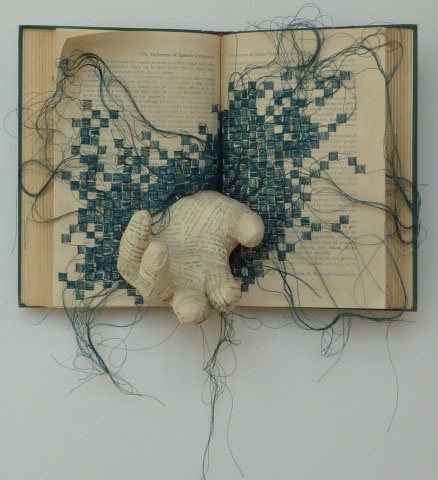 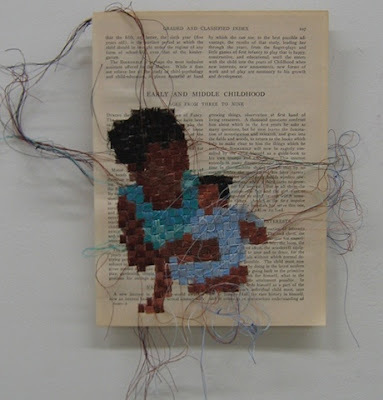 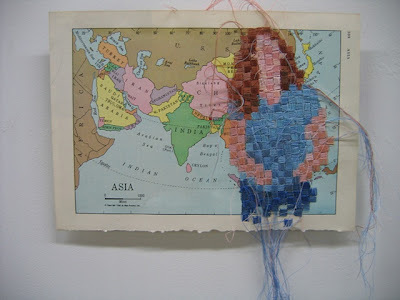 Her work relies upon books, maps and other found materials as she blends together traditional craft, contemporary media and remnants of consumer culture. 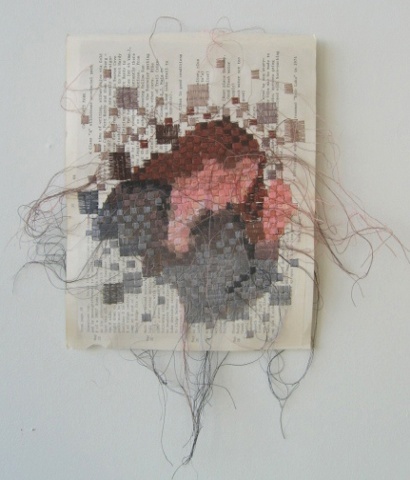 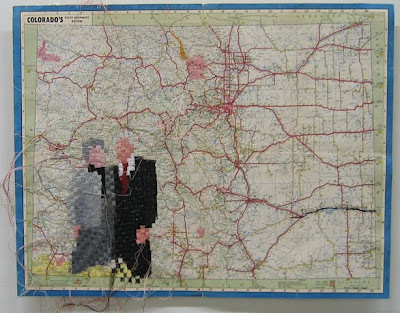 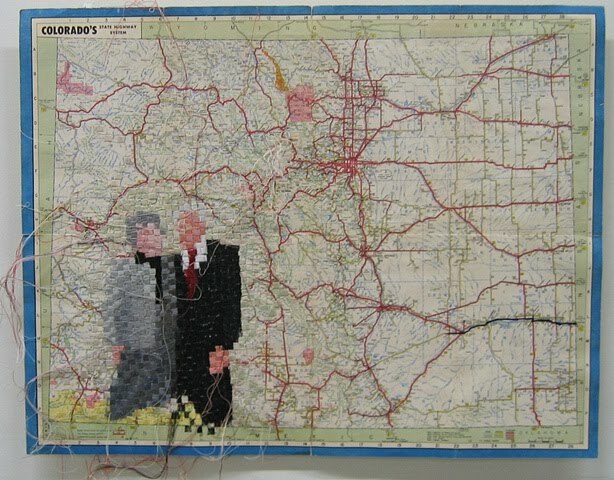 Her process employs digital media reinterpreted through stitching and embroidery.